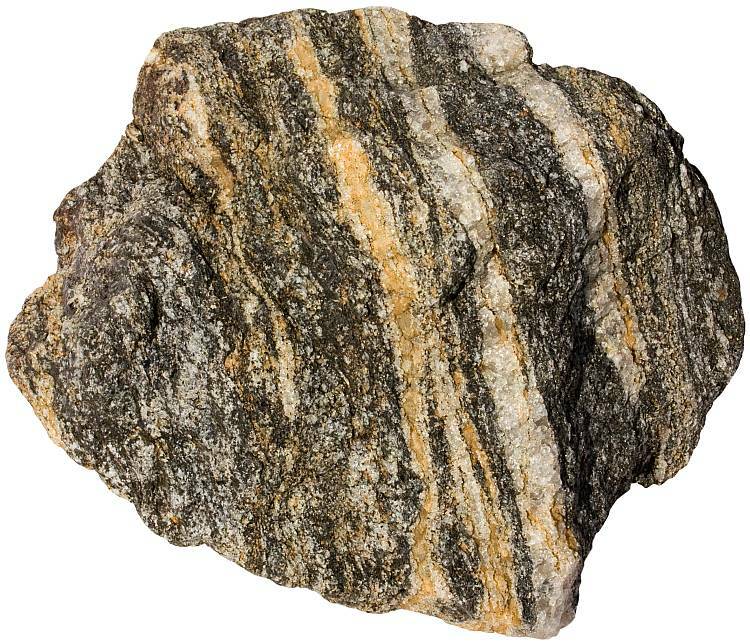 There are many different types of rocks associated with natural gold and gold formation but one type of rock you should familiarize yourself with in this regard is schist. 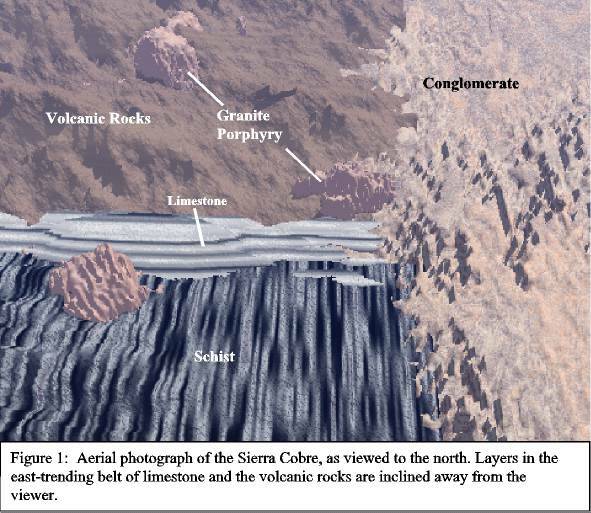 What may throw some of you off here, however, is that schists tend to contain "scaly" minerals like mica. Yep, mica is often considered a secondary form of "fool's gold" (the other is, of course, iron pyrite). So let's unravel this seeming inconsistency. First things first. 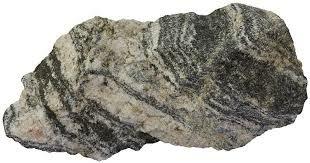 What is schist? 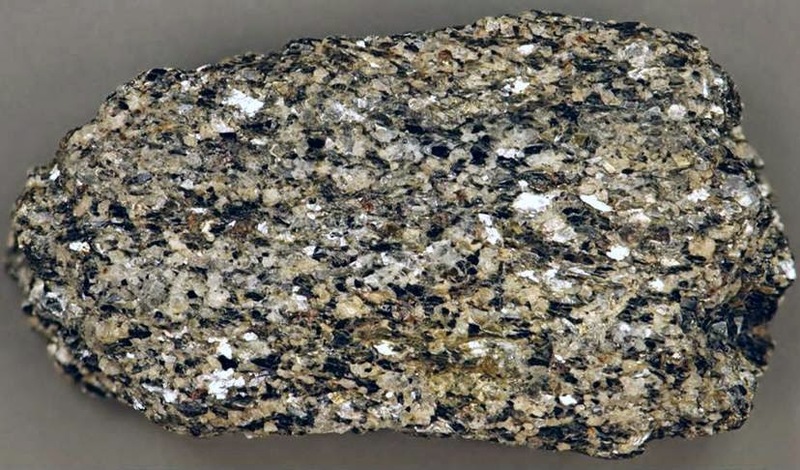 Well pard, schist is a metamorphic rock that's made up of small, leaf-like mineral grains that are easily visible to the naked eye. I've spoken many times in Bedrock Dreams about the importance of metamorphics in gold formation and their abundance in certain regions of the world, including the Western and Southwestern United States. These types of rocks (metamorphics, that is) have undergone significant geological and chemical change from their initial structure. That change or alteration is where the gold mineralization factor takes place. 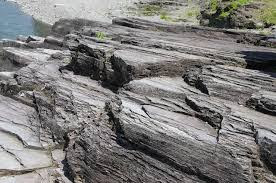 With schists, this alteration generally occurs in sedimentary rocks (shales, mudstones, sandstones, etc.) that of and by themselves have little, if any, gold potential. Schist-type rocks or geological structures tend to form along convergent boundaries where high heat and strong chemical activity have taken place along with massive geological compression. These sorts of geological forces are intense enough to convert sedimentary rock, including clay, into foliated (again, leaf-like) metamorphic minerals such as chlorite, muscovite, and biotite. The interesting thing here is that these sames sorts of schist-type minerals are frequently found with gem minerals like garnets, tourmaline, beryls, and others. 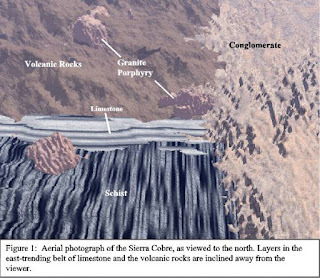 Shales often figure prominently here as well since they can be altered by the above-described geological forces into 1) slate, 2) phyllite, and finally 3) gneiss. Schist rock minerals tend to form in a linear fashion and in nearly all specimens this is readily apparent. The plated (or foliated) mineral structure of schists make them easy to break into thin slabs along the alignment of those same mineral grains. Mica is frequently associated with schists and here is where the confusion starts since most micaceous rocks can be good gem mineral producers but not necessarily good gold producers. 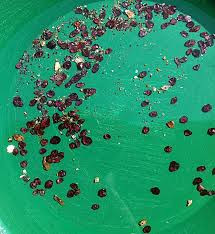 However, let it be said here and now that I've frequently found placer gold associated with small garnets (including certain locations here in New Mexico) which tells me that schist formations are part of the underlying gold mineralization of that area. I'm a miner...not a geologist so I don't fully understand the double whammy thing here. On one hand I hate seeing mica around or lots of micaceous rocks when prospecting for gold (not gem minerals). Yet, schist formations can be excellent gold producers. Go figure. I think the differential factor here is the extent of the schist metamorphic alteration in a given area. Then again, I could be grasping for straws here. Despite the confusing aspects of interpreting foliated minerals in schists, you need to keep an eye open for them out in the field. 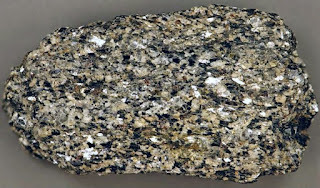 Ditto for gneiss which, at times, forms the country rock or bedrock in certain gold areas. You folks out there who are less experienced or full-on newbies or greenhorns when it comes to small-scale gold mining or prospecting need to take a deep breath here and listen to me. Why? Because without a doubt I'm going to start getting questions via e-mail or the post page comments section (which I hate by the way) about all the micaceous rocks in your area or that you've picked up and whether or not they contain gold. Please understand that all rocks with mica or leaf-like mineral grains are not going to be indicators of gold. In fact, just the opposite is true in most instances and you have a better chance of finding gem minerals than gold. However, genuine schist formations need a closer look...especially if you live in a state or area where gold has been found in the past and a historical record exists of those gold occurrences. Anyhoo, the upshot is that schist formations don't get the gold airtime that other, better-known rock structures do. File that info away in the deep recesses of your mind. You never know when it'll come in handy. You're welcome Bob. Glad to be of help. JR, my best spot has a lot of rocks that look like all three of these. The first and last pictures here being most common. They have more of an orange color to them though. I've pounded some into powder and panned them, but never found gold inside. It almost has to be coming from these rocks, or maybe alongside them, but you can't prove it by me! Anyway, as always, interesting stuff here. Getting close to the end my friend......I'm going to miss this, but you deserve a rest from it! Thanks again for all you have done here. Thank you Gary. It's been a pleasure the entire time having you here.